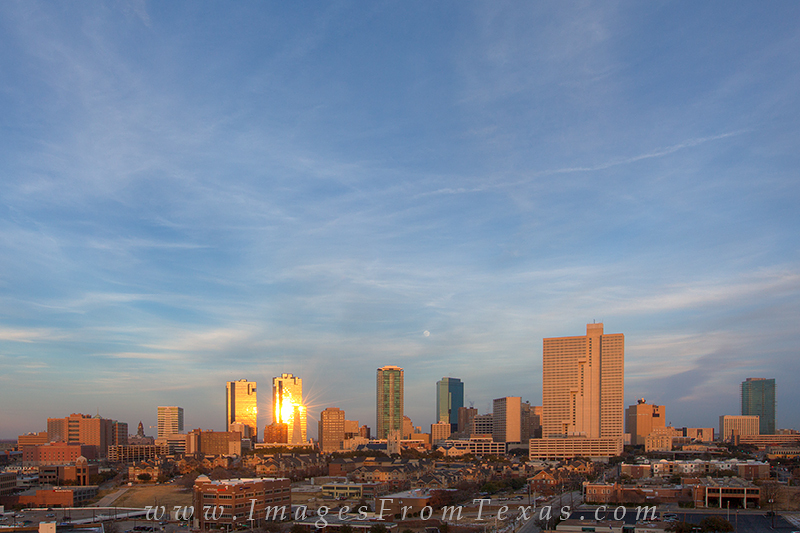 Late afternoon and the skies are still showing some blue over the Fort Worth cityscape. In the clouds you can see the full moon beginning to rise in the east just above the highrises of downtown. Photo © copyright by Rob Greebon.